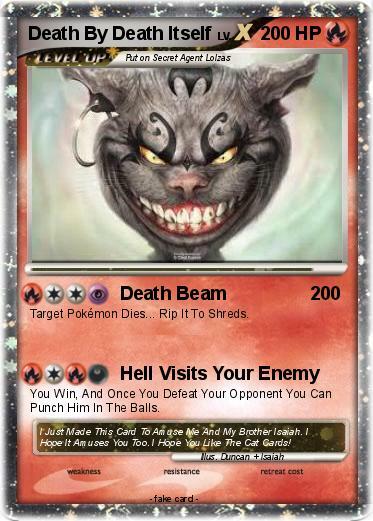 Target Pokémon Dies... Rip It To Shreds. You Win, And Once You Defeat Your Opponent You Can Punch Him In The Balls. Comments : I Just Made This Card To Amuse Me And My Brother Isaiah. I Hope It Amuses You Too. I Hope You Like The Cat Cards!